A little while ago I was lucky enough to be invited to a press event which featured a Q&A session with Dr Nick Lowe – an internationally renowned dermatologist and skin specialist who has been at the forefront of new skin treatments and technology for over 30 years. You might have seen his skincare line in Boots which launched in 2007 and has received rave reviews from beauty editors and women in general (Remember Abi and her bag spy) This range has been expanded over the last two years and is a range of derma-led, high performance formulations that offer no false promises or miracle fixes, just prevention and repair for healthy, beautiful skin. Q: How effective is microdermabrasion and can you achieve the same results as a microdermabrasion facial using products at home? A: Microdermabrasion is very effective and can help with dark superficial scars, acne pigmentation and to brighten dark skin. In general the machines used for facials will be a lot more powerful than the products you use at home. That being said microdermabrasion products are becoming increasing popular and can be quite effective when used properly. The secret is to not overuse them as this could cause damage to your skin. My Cell Renew Dermabrasion Peel product works very well, however it should only be used once or twice a week because it takes a few days for skin cells to reform. The surface skin cells on your face are very important as they act as a barrier so you shouldn’t damage them. Less is more, and be gentle. Also always ensure that you follow the product with an effective moisturiser afterwards. Q: What is the most effective way to deal with scarring (either from blemishes or hyper-pigmentation) specifically on women of colour? The first step in the treatment of scarring is a consultation with a dermatologist. At my clinic we use a variety of treatments as each scar and skin type is different so requires a different approach. So in treating your scarring – first you need to identify what type of scarring you have then it is vitally important that the treatment you use is gentle as if you over treat pigmentation you will actually make it worse. If you have mild scarring you can focus on using brightening screams as this will help to fade away the scars. My Brightening Radiance Cream works well to help to bring radiance to the skin and gently fade scars. 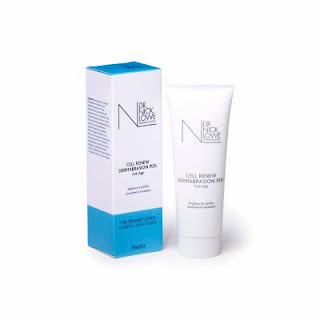 Microdermabraison as mentioned previously can be quite helpful as well as Retin A – which acts as a skin renewing cream and works to increase cell production. If you have a tendency to acne then you need to treat the acne as well, with non-comedogenic products so that you are not creating new scars. With this in mind, Dr Lowe has developed 4 anti blemish products within the range which you can now buy as a trial size starter pack for £14.95. If your scarring is quite severe then get your GP to refer you to a dermatologist as they will then be able to prescribe the right course of treatments and products to help you. Q: If you have oily skin, should you avoid using skincare products altogether and stick to just cleansing to keep your pores unblocked? A: Oily skin is a natural response to circulating hormones in both men and women called androgens which can produce acne and sebum. It is the over production of sebum which causes whiteheads, blackheads and inflammation. To treat it, it is important to use light cleansing methods such as a foaming cleanser. His face wash contains Salicylic Acid and Niacinamide so it acts against acne. You need to remember that any products that help to fight sebum will also tend to dry out the skin a bit, so ensure you use a light oil free moisturiser in the day and at night a cream that will add some moisture back into the skin. Q: Do you have any advice for adult or hormonal acne? A: Post teenage men and women with acne are a growing number and I have seen a real increase of patients suffering with adult acne. One of the major reasons for this, I think is to do with increased stress levels. Stress stimulates an increase in the production of cortisones to cope with the stress but it also triggers increased androgen activity which causes acne. Again as mentioned before it is really important to find out what is causing your acne so go and see a registered dermatologist. Medically they will treat it in the same way as they treat normal acne with treatments that are suitable to your skin condition, for example with low dose antibiotics, steam extractions, peels and light therapies. Q: Do you have any tips for caring for dry skin? A: Avoid soap and detergents as they dry out your skin. Also avoid hot baths and showers which can dissolve your skins protective layer and oils. Instead use lukewarm water and a gentle cleanser that isn't too harsh such as Dermol 200 Shower Emollient, £5.94 and Dermol 600 Bath Emollient, £13.45. Then follow it up with a good moisturiser. I don’t have a body lotion in my range and I feel there are many good brands out there that are cheaper than I could produce them for. 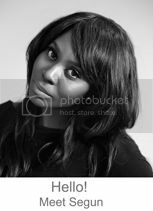 I would recommend Vaseline Intensive Care Dry Skin Lotion, £4.10. Some other drying ingredients to avoid are Sodium Lauryl Sulphate and Glycolic Acid. Good ingredients to look out for are Humectants, Glycerine and Sodium Hyaluronate - they act as water attractors to put moisture into the skin. 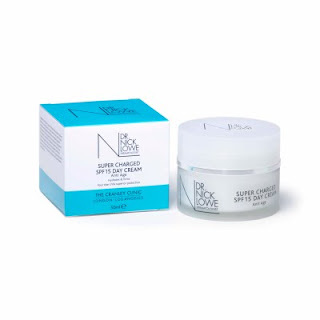 Dr Lowe’s skincare range is available from Boots stores nationwide and from his website www.drnicklowe.com It has been meticulously tested, is extremely well-priced and is packed with active ingredients that promise to deliver when used in a regular skin regime.